"So what are you making for dinner? ": What did we eat this week? This has been a long week. I use to post every day... not so much anymore. Not sure why and really don't want to try to figure it out. So we have the weekend wrap up! Autumn Vegetable Soup. Right from the freezer! Oh this was good! I came across this recipe on the Better Homes and Garden site. Chicken and Pasta Frittatta. I had chicken from the Rotisserie chicken we had on Saturday night. Simple to prepare. I brought it over to my Dad's for dinner. He really enjoyed this. Eggs in Purgatory. This is such an easy dish. I had some sauce in the freezer and some green beans in the fridge. I poached the eggs in the sauce in the morning so it just needed a reheat tonight. Oh and of course we had to have Italian bread with this. Fridays during Lent... and I found a really good quick recipe for Fish and Chips. Well sort of Fish and Chips. Are you using Cookstr? You will find lot of amazing recipes there. 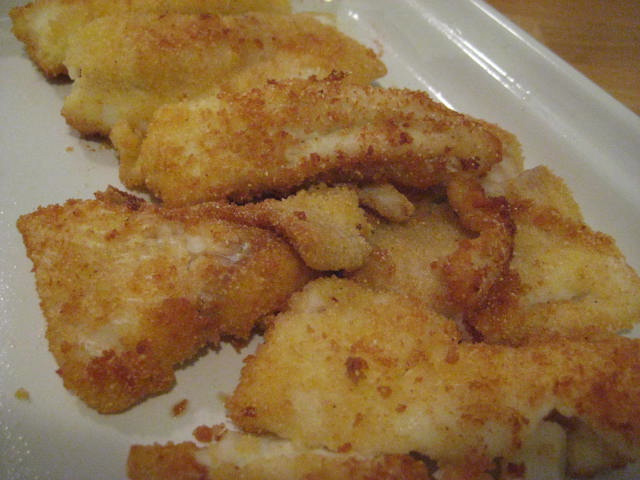 Today I typed in Cod and found this recipe - Crispy Oven Fried Cod. The recipe is from The Gourmet Cookbook. That is the cool thing about the Cookstr site, you can try recipes from all types of cookbooks. Its like going to the library. So back to dinner. The recipe said to put the fish and the pan in the oven. Well I put the fish on paper towels to drain the oil. After that I put it in the oven in a baking dish. It came out so light. 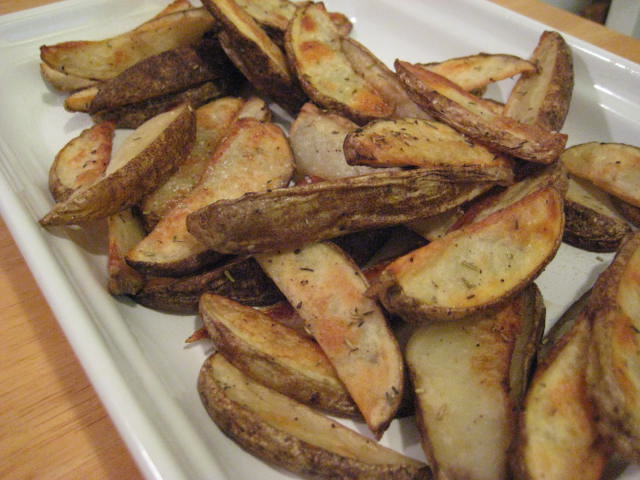 And the chips part of the meal... Roasted Potatoes!